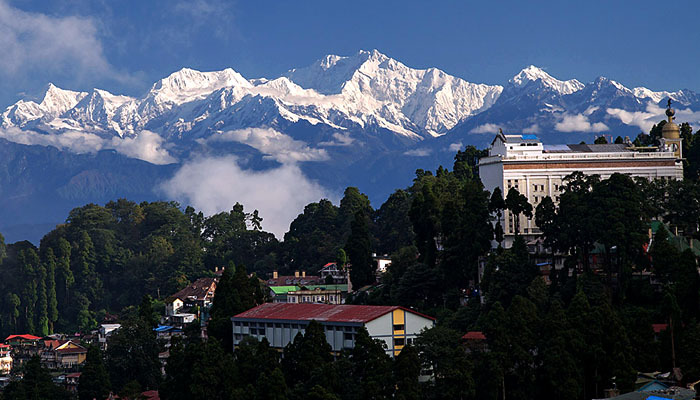 Contrary to what some deluded individuals have recently spoken about ushering in great development and prosperity, Darjeeling is suffering, and it needs immediate intervention. And other than the Union Government, the only credible entity that can intervene on behalf of the people of Darjeeling for their actual wellbeing is the Government of Sikkim. Hence a sincere appeal to the kindest people of Sikkim and their benevolent Chief Minister to intervene, and intervene urgently, and help the people here overcome Bengal’s systematic, well-planned, strategic tyranny and dominance – these days executed at the hands of some of our own who have played a willing puppet. As you may recall that in May of 2017, Darjeeling started to simmer with resentment over the imposition of Bengali language in schools, and Sikkim didn’t react. They stayed put, and chose not to intervene. But as high handed violence were unleashed on us at the hands of Bengal controlled police and CRPF, spilling blood and dead bodies in the streets of our beloved hills, our region exploded to resistance by June of 2018. Sikkim could no longer remain indifferent and their concerns became apparent – for the same blood that flows in our veins, flows in theirs too. How could they not be concerned or unmoved? Their Chief Minister Shri. Pawan Kumar Chamling then, shared Sikkim’s collective concern for us, but limited to simply raising his voice against the atrocities meted out to the Gorkhas here in Darjeeling, condemning it. Sikkim’s intervention in our dismal, sorry affairs was still a distant cry. It was only when the Government of Waste Bengal went a step further, putting an embargo on the food supplies to our hills along National Highways – NH10 that leads to Darjeeling and including NH31A that leads to Sikkim via Kalimpong Subdivision that Sikkim started to experience the heat for expressing their concerns for Darjeeling. I urge you all to recall how milk supplies of the Indian Army, securing our borders regions were brutally vandalized in Siliguri. Do recall the milk spewed streets. Repeated vandalism of SK vehicles, escalated attacks on anyone with the ‘hill’ looks in the streets of Siliguri, including issuing of threats just for articulating their support for us, compelled our dear brothers and sisters from Sikkim to finally intervene. Its important to note that being a State easily enabled Sikkim to cushion and defend its interest in the wake of deliberate state sponsored food embargo put forth by Waste Bengal along National Highways, however unlike Sikkim, Darjeeling is not well endowed nor well cushioned to withstand this inhumane act imposed by Bengal. It is here that Sikkim, rightfully and morally, intervened! They formed various clubs, groups, organizations and associations to collect donations including food supplies to help us across the border. We witnessed numerous such initiatives, most prominent among them being undertaken by a group – ‘Concerned Citizens.’ Comprising of people from all walks of life in Sikkim from students to teachers, from radio-jockeys to restaurant owners, from shopkeepers to unemployed, from politicians to bureaucrats, from drivers to hoteliers, everyone contributed in the form of food, money and other relief material, so that we, people in Darjeeling wouldn’t starve to death. 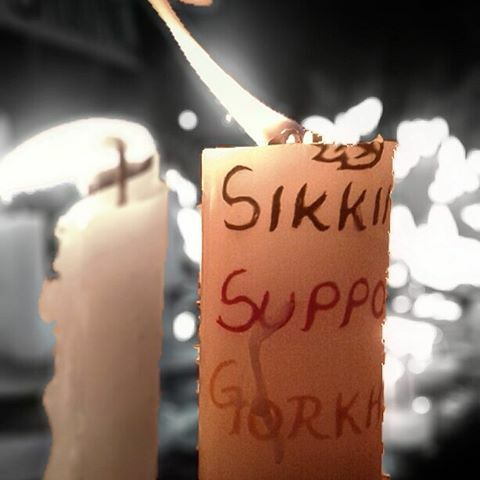 Much like the rest of India, rallies of support for the Gorkhaland cause were also held across Sikkim – bike rallies, silent rallies, torch lit rallies, candle lit rallies, you name it. I have personally witnessed the kindest people of Sikkim, participating in a rally all the way from Rhenock to Gangtok while it was raining cats and dogs, in support of Gorkhaland statehood. Lest politicians like Mr. Tamang and his likes forget, here are some basic facts for them. The only state that can actually intervene in terms of formation of the Gorkhaland state other than the Union Government is the State of Sikkim. West Bengal – despite Binay Tamang and his cronies’ allegiance to it, does not have any stake in Darjeeling region. In case Binay Tamang is not aware, in a white paper published in 1986, even the West Bengal government has accepted that “Darjeeling region belong to Sikkim, so the only legitimate stakeholder in the issue of Gorkhaland statehood is Sikkim, and their earliest intervention towards making it happen is thus not only important, but also necessary. Perhaps Binay Tamang does not realize this, so he is doing a disservice to the people aspiring for Gorkhaland state, by telling Sikkim not to intervene. Might I assert and reiterate, the state that should actually be told not to intervene in “our internal matters” is Waste Bengal. For, they are the ones responsible for the death of 13 innocent Gorkha youths who were shot and killed in the recent past. They are the ones who have arrested and put hundreds of Gorkhaland supporters in jail. They are the ones who blocked ration from entering the hills during agitation period. They are the ones who caused “hill people” to be attacked in the streets of Siliguri. They are the ones who shut down all media from the hills during the agitation period, in fact they are responsible for the shutdown of India’s only Nepali language Digital Channel ABN. They are the ones that shut down internet in our region for close to four months, causing our youths to miss out on numerous employment and educational opportunities. They are the ones that have continued to arrest, threaten and cajole anyone supportive of Gorkhaland statehood. They are the ones who have undermined and continue to undermine our lingua franca – Nepali. Today as Binay Tamang parrot the lines of Mamata, let me remind Mr. Tamang – the whole Gorkhaland agitation was triggered off by Bengal trying to impose Bengali as a compulsory subject in all the schools across West Bengal, of which we are unfortunately still a part of. Let me remind him that the first to speak out and protest against such imposition was him. Let me remind him that to belittle and bite the very hands that have supported us the most in our times of need is definitely not the hallmark of a Gorkha. We are known world over for our Loyalty, and in decrying Sikkim, Mr. Tamang has displayed his disloyalty to the ONLY STATE THAT HAS SUPPORTED US WITHOUT SEEKING TO GAIN ANYTHING IN RETURN. While to those who have been instituted to power by Bengal, Sikkim may seem like an impediment, but to those of us who seek Gorkhaland state, Sikkim and its people are our family and we not only welcome their intervention, but also seek their full support in realizing our collective dream of Gorkhaland. On behalf of the people of Darjeeling, I hereby extend my heartfelt apologies to the kindest people of Sikkim, and their Chief Minister. We haven’t forgotten your help and support, and we hope that despite raving rants emanating from Nabanna being spewed by a few of our hill politicians, all of you will continue to stand with us, like a family – unflinching and unwavering. Jai Sikkim! 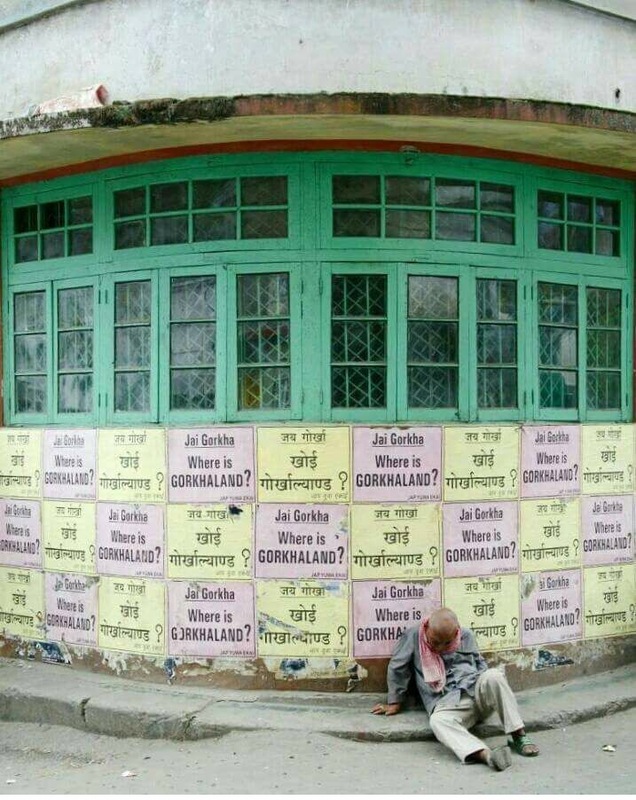 Jai Gorkhaland! Jai Hind!